Embellish your bedroom decor with the exquisite, hand carved details of this magnificent, handcrafted, Spanish colonial style bed. The headboard has a classic, straight, top rim, and below the top rim are ornate, hand carved, geometric designs. The front of the headboard has three, rectangular panels, and centered in each panel is a spectacular, hand carved, floral design, surrounded by hand carved, scroll details. 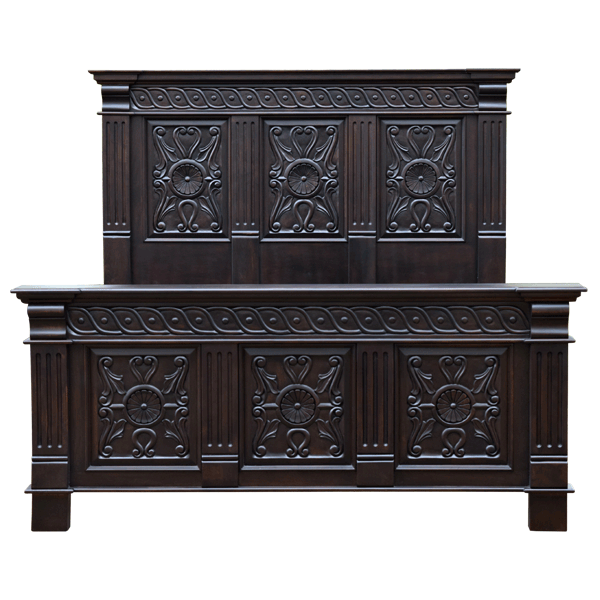 The panels are divided by solid wood uprights, each accented with hand carved, fluted details, and this design is repeated on the headboard´s side uprights. 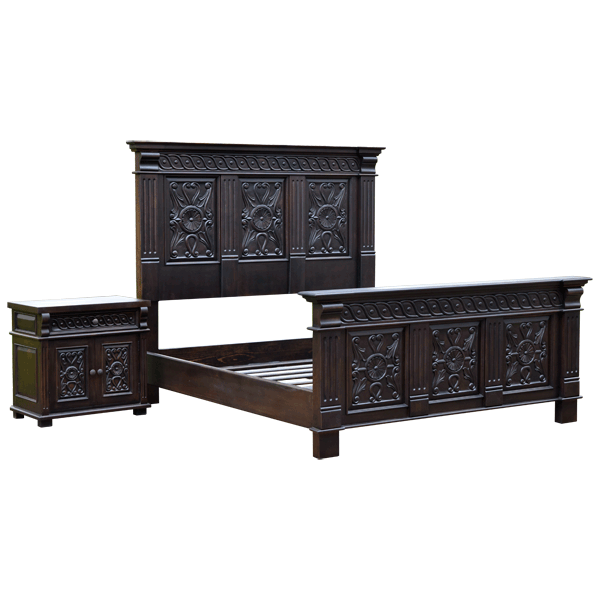 The bed has a rectangular footboard with a straight, top rim, and below the top rim are matching, hand carved, geometric designs. 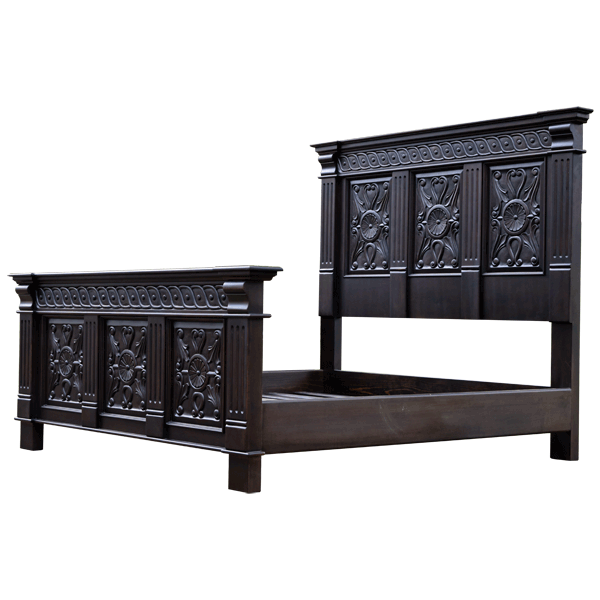 The front of the footboard has three, rectangular panels, and each panel is adorned with a matching, hand carved, floral designs, surrounded by hand carved, scroll details. The panels are divided by solid wood uprights, each enhanced with hand carved, fluted details, and this design is repeated on the footboard´s side uprights. The bed has a solid wood, structural base, and it rest on sturdy, square cut legs. It has an opulent, dark finish, and it is made with the best, sustainable, solid wood available. The bed is 100% customizable, and it can be combined with our La Mantela de la Noche end tables (etbl126).